One day about six months ago, my wife, Emily Drew and I were taking a walk on our family farm. I don’t know who brought it up first, but we started talking about putting on a competition on our farm. 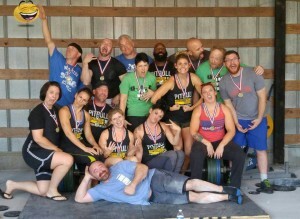 Then we started talking about multiple competitions from several barbell sports. 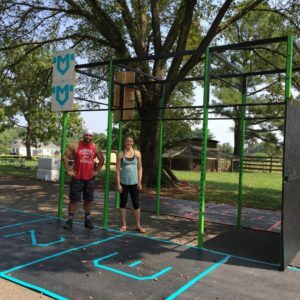 I started “The Barbell Life Podcast” because I have watched the barbell bring people together in a very unique way. Barbell Families have formed in gyms all over the world. 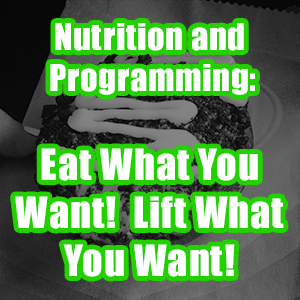 It doesn’t matter if it is weightlifting, powerlifting, strongman, or Grid. A barbell simply brings people together. Emily Drew and I wanted to bring all of these people together. 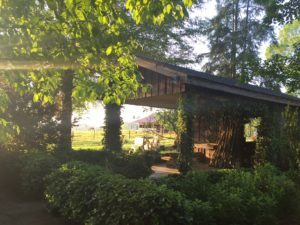 We believed that the farm was the perfect place. The name of the farm is Rolling Hills, and that is exactly what it is. The farmhouse is located at the top of a small rolling hill where a small breeze is guaranteed to blow year round. 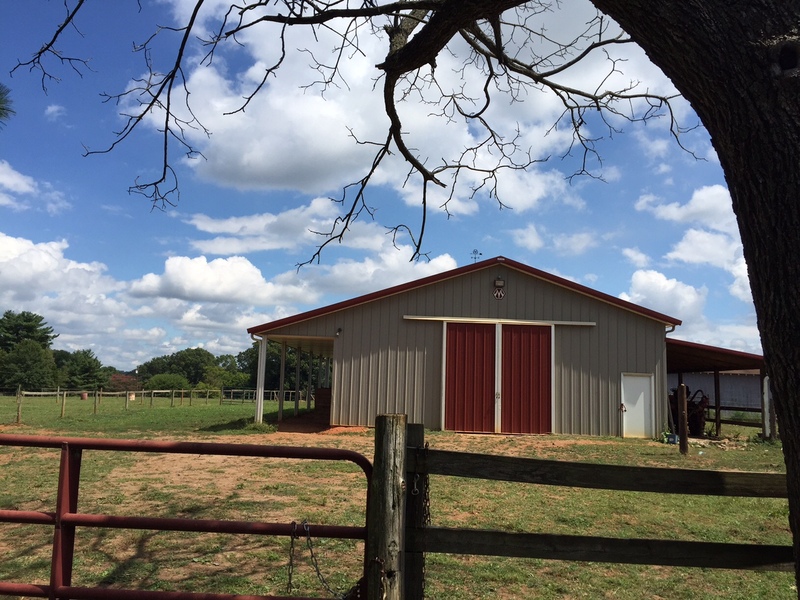 There is a beautiful red horse barn towards the back of the property. 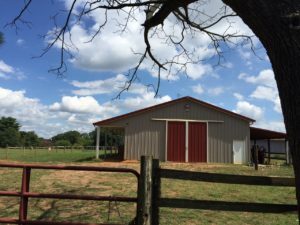 We also have a hay barn, a milking barn, and a 2,000 square foot storage barn. 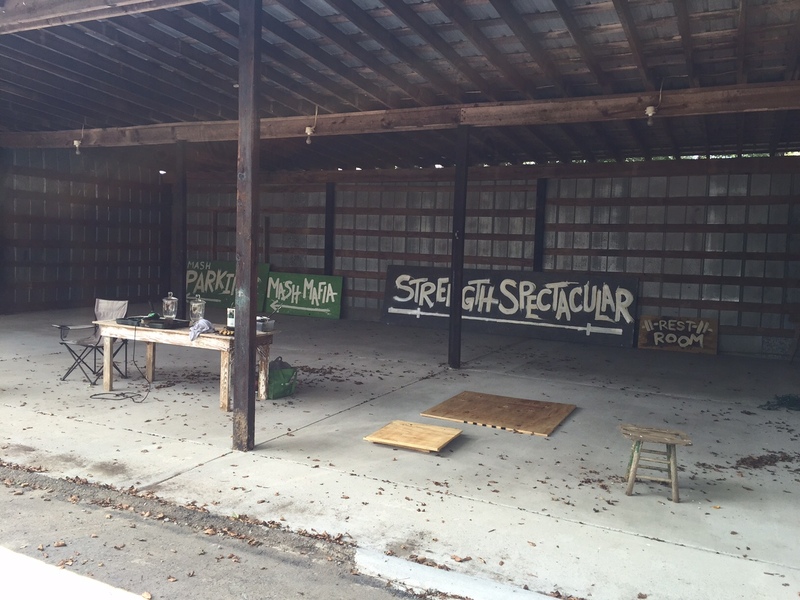 We poured concrete in the storage barn and turned it into the sweetest gym in America. The rest of the property is bright green flowing grass. You can hear natural soothing music from the chirps of crickets and tree frogs at all times of the day. The horses, chickens, cats, and dogs provide the added touches to make Rolling Hills the perfect escape for any family. Relaxation and loss of all worries is a byproduct from the farm’s surroundings. I have read about the York Barbell Strength Spectacular Picnics my whole life. It was a bunch of people that liked to lift heavy things coming together in an outdoor setting and having a good time. That’s what we wanted to do. Yah I wanted people to hit PRs, but that wasn’t the most important aspect of the event. The focus was on the fellowship and relationships. I wanted to bring all of these worlds together, so that we could all see that we are all trying to do the same thing. That same thing is to better ourselves as strength athletes and human beings. Once we had the idea, Emily Drew and I gathered around the kitchen table and started our plans. We knew that there was going to be some challenges. The nearest airport is 45 minutes away, but it is hard to catch a flight into. Charlotte is the closest major airport, and that is about 75 minutes away. The farm is located about 20 minutes outside of the nearest city in the middle of nowhere. We believed that those challenges were also what made it perfect. There is no way that I could have pulled this off without amazing friends that believe in me. Barbell Shrugged not only sponsored the event, but the whole crew came out to witness the Strength Spectacular first hand. 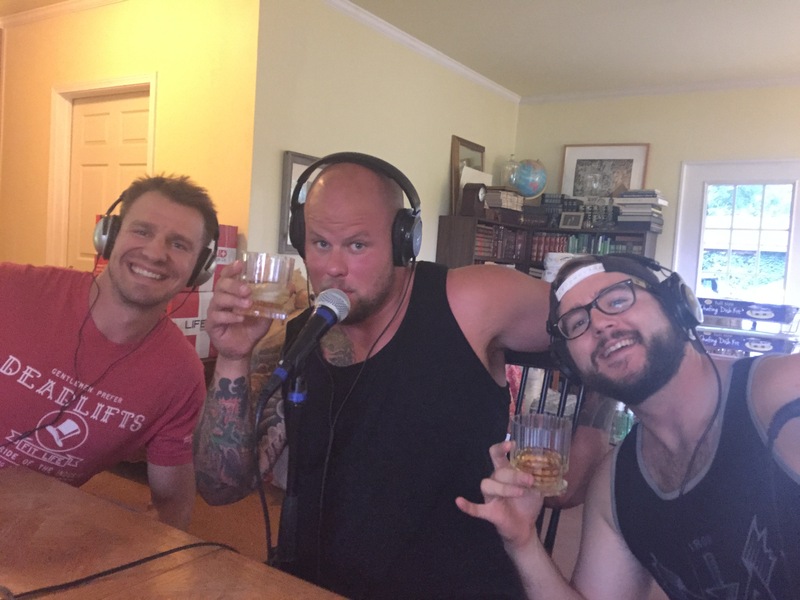 We had so much fun hanging out, podcasting, and slinging weight. My friends at MuscleDriver USA donated all the equipment for weightlifting, and helped out with a lot of the equipment for GridStyle. MDUSA might be outspoken on a lot of issues in weightlifting, but at the end of the day no one puts their money where their mouths are like MDUSA. They have supported all of my contests. Don McCauley actually drove up from Charlotte to check out the festivities. Yah he speaks his mind on Facebook, but anyone that knows him realizes that he is the most genuine man on this planet. I love that old man, and it means the world to me that he would take the time to come to my event. We also had Tayler Harris, Sean Rigsby, James Tatum, Lauren Rutan, Ariel Stephens, Lindsey Stroker, and of course Rebecca Gerdon from Team MDUSA make the trip up. I still love that team with all my heart. Before thanking the rest of my sponsors and vendors, I just want to make one point. If you are genuinely nice and caring to the people that you meet in this industry, you will succeed without a doubt. That doesn’t mean that you are nice because you expect something in return. That isn’t genuine at all. Not all of my friends in the industry were able to support the event, but guess what, they know that I still love and care about them. We all have budgets, and I get that. If people would simply be more genuine and caring, there would be a lot more successful people in the world. The world would also be a better place to live. I’ve had people that wanted to get close to me simply to improve their status. The thing is that I can see that from a mile away, and that hurts. Yah, I am human, and I am able to be hurt as well. I was sitting around with AJ Roberts and Chris Moore from Barbell Shrugged, and they were talking about how negative comments cut through to their very souls. Sometimes people in Internet land think that once people are at a certain level of popularity that they no longer have feelings, well that isn’t true at all. These same critics are the very people sitting around wondering why they are so broke and unsuccessful. It’s because you are so miserable and self-centered that no one will ever give you a chance. Change the way you are right now. You can change! The second you start loving people unconditionally is the moment you will become more successful as a person. •	If you are surrounded by friends all over the world, how can you ever fail? •	Be genuine and kind with no expectation of anything in return! 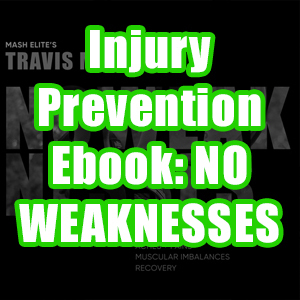 •	Solid relationships are the key to lasting success in the fitness industry. 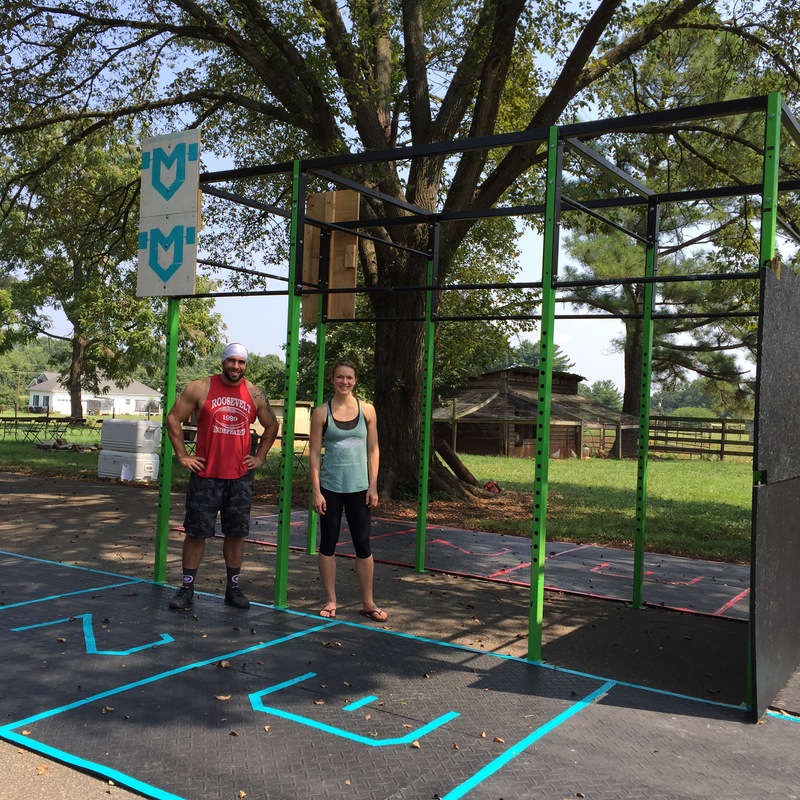 At Barbell Shrugged’s Mastermind, I met Orion, CEO of LifeAid. It was awesome to hear the growth story of a beverage company because there are some similarities and some real differences in what I do. I also worked with him on some of his Olympic lifts. When he found out that I was hosting an event on the farm, he loved the idea. I didn’t have to ask him to be a vendor. Throughout the week, he had come to like and trust me as a person. His company was the first ones to agree to be vendors. Having a company the size of LifeAid believe in my vision gave me all the momentum that I needed to pull it off. The same thing happened with MusclePharm. Cory Gregory, co-founder of MusclePharm, and I became friends. 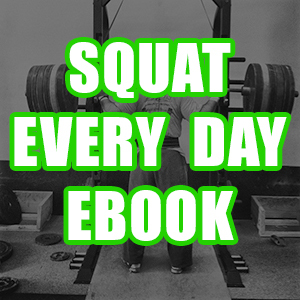 I even tried his Squat Every Day workout, and I am killing it with progress. When he found out about the Strength Spectacular, he wanted in. He simply believed in me as a person. My friend Marc Bartley, from Spud Inc., didn’t even hesitate to say yes. Marc is a longtime friend from my powerlifting days, and he has always supported all of my crazy ventures. I can’t say enough about Freak Athlete Apparel because they not only support all of my events, but they support many of my athletes. If you want to know the key to my heart, it is supporting my athletes and loving my family. If you do that sincerely, you have me in your pocket. Now you have my secret! Competitive Edge Performance is my personal supplement sponsor, and was a major contributor to my event. Even though I am 42-years-old, they still believe in me as an athlete. That same belief carries over to me as an entrepreneur. They know that I am going to put in the work necessary to make my business ventures succeed. I met the owners of Kilos Not Pounds when I was at the Miami Classic. They are a new up and coming equipment and apparel company. They are known for the best knee wraps in Olympic weightlifting. I got to hang out on the beach with the owners of Kilos Not Pounds, and we had the best time getting to know each other. They weren’t able to make the trip, but they still supported the event. Prosource Fitness Equipment from Raleigh, NC also supported our event. It was great to have a local company support and believe in my vision. They took a chance in me because they believe in me as a person, and I so appreciate that. I have to give a huge shout out to my friends at CrossFit Protocol from Decatur, Alabaman because they rolled up from ‘Bama about 25 deep. I did a seminar there about 4 months ago, and we just bonded. 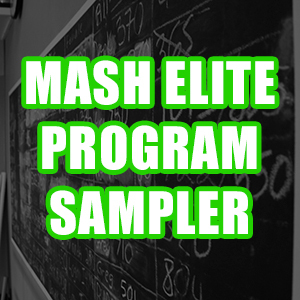 They are now a Mash Mafia Barbell Affiliate, so I get to work with their owner, Scott Shirley, on a regular basis. Their entire community is one of family, and I am honored to be a small part of it. There is no way that the Mash Strength Spectacular would have been possible without my incredible team and family friends helping to pull this thing off. I have the best team in the world! I am so thankful for all of you, and I love each and every one of you with all my heart! The inaugural Mash Strength Spectacular was a success because all of you took a chance on my vision. We had over 1,000 people make their way onto the Rolling Hills Farm this weekend. Because so many of you believed in me, my expectations were blown away. All the comments that I heard were: “this is the future”, “so much fun”, “love the community”, “family”, and “what about next year”. 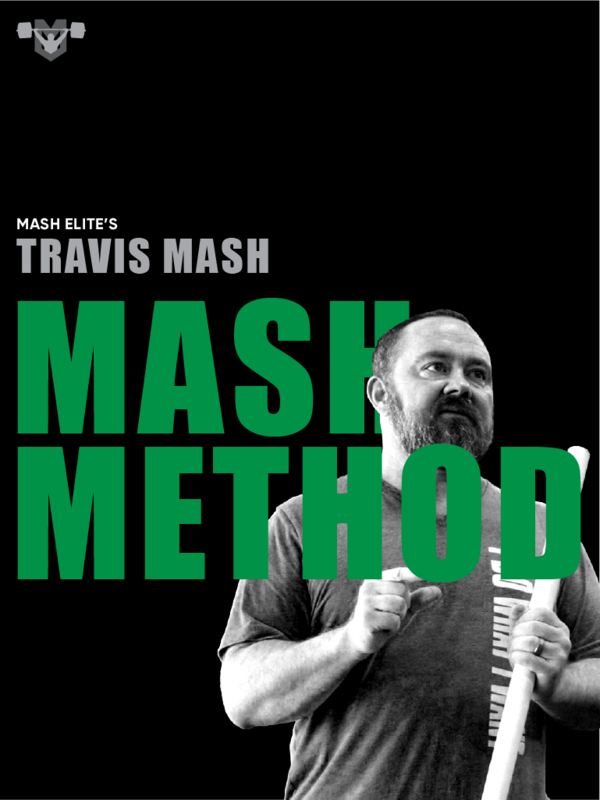 I just want to say thank you to all of you that competed, spectated, and sponsored the inaugural Mash Strength Spectacular. Because all of you believed, a dream formed around the kitchen table became something Spectacular!